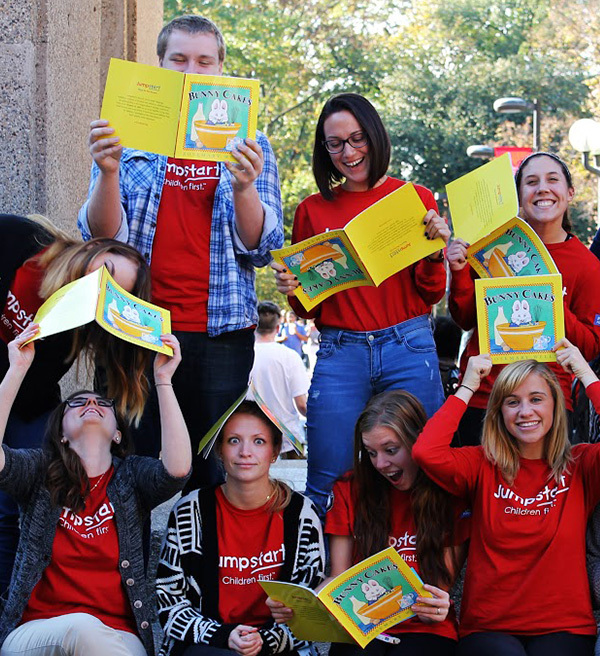 Across the country, Jumpstart partners with colleges and universities to recruit and train our most valuable resource—our Corps members. Our incredible network of college and university partners enables us to connect with students who are passionate about service, looking for work-study opportunities, interested in a career in teaching, and/or giving back to their communities. Click below to view a full list of our higher education partners or contact a member of our team to learn more about bringing Jumpstart to your college or university. 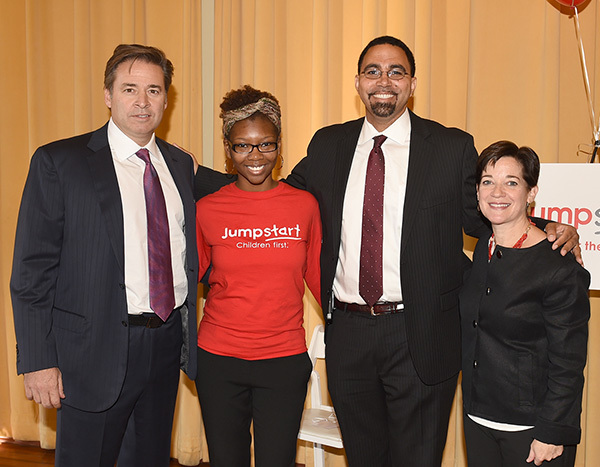 By partnering with Jumpstart, early childhood centers join a network of advocates in support of kindergarten readiness for all children across the country. We aim to increase our program partners’ capacity by providing Jumpstart to an ever-expanding number of classrooms across the country. Only by working together can we reach more families and achieve school success for all young children. Click below to view a full list of our preschool partners or contact a member of our team to learn more about bringing Jumpstart to a school near you. DC H. D. Cooke E.S. MA Nurtury – Tremont St.
MA Nurtury – Mt. Pleasant Ave.
GA Elizabeth Burch Early Learning Center/ Gate City Day Nursery Assoc. 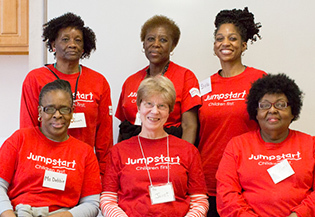 While the majority of our volunteers are college students, Jumpstart also engage community members that are passionate about making a lasting impact on a child’s life. Our Community Corps program allows us to partner with community organizations in order to find dedicated, passionate older adult volunteers who are eager to support children in their neighborhoods. Click below to view a list of our community program partners, or contact a member of our team to learn more about bringing Jumpstart to classrooms in your community. 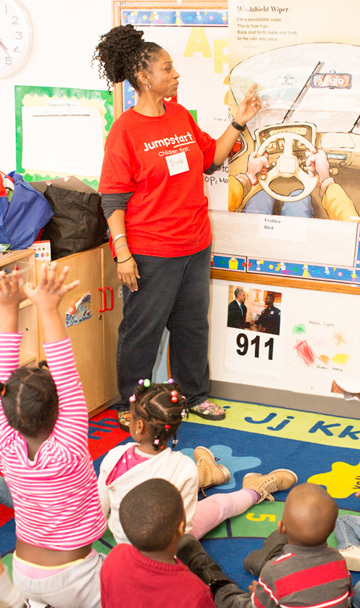 Jumpstart has forged strong relationships with a variety of community partners across the country to pilot new initiatives, provide additional resources to children and families in low-income communities, and generate buzz around ways for communities to gather together in support of high-quality early education. From texting studies to family community events and workforce development opportunities, we’re always looking for new ways to expand our reach. Click here to learn more about our latest programs & new initiatives or contact a member of our team to learn more about getting your community involved.